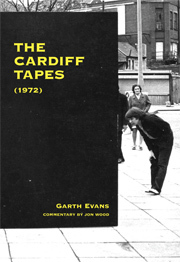 GARTH EVANS (b. 1934, Manchester, UK) is central to the narrative of British sculpture. Since the 1960s, Evans has exhibited widely across the UK and United States. He has received numerous awards including the Guggenheim Fellowship, the Pollock-Krasner Foundation Award, the British Council Exhibitions Abroad Grant, and residencies at Yaddo and the Marie Walsh Sharpe Foundation. In 2013, artist Richard Deacon curated the survey exhibition Garth Evans at Yorkshire Sculpture Park, which coincided with the release of Garth Evans: Sculpture Beneath the Skin, edited by Ann Compton (Philip Wilson Publishers, 2013), a major publication reviewing his career to date. His work is represented in major public and private collections, including Tate, the Metropolitan Museum of Art, the Museum of Modern Art, the Victoria & Albert Museum, and the British Museum. Evans currently lives and works in northeastern Connecticut and teaches in New York, where he is head of sculpture at the New York Studio School. JON WOOD is research curator at the Henry Moore Institute in Leeds. In 2007, he compiled and edited the Modern Sculpture Reader, an anthology of twentieth-century writings on sculpture, with Alex Potts and David Hulks. He is presently compiling a collection of essays, in collaboration with Ian Christie, looking at the changing relationship between sculpture and film and writing a book called Sculpture Now, for Tate Publishing.